Why should you consider participating in an internship? Employers seek job candidates with work experience. Internships enhance your industry-specific and transferable workforce skills. If you are curious about what types of skills are needed in the workforce, the National Association of Colleges and Employers (NACE) has created Career Readiness Competencies. Internships help you see if a career is a good fit. Internships are an opportunity to network. Connecting and building rapport with professionals in your field of interest are important for professional success. 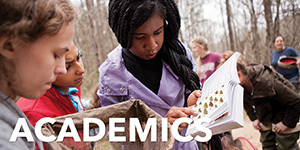 Some academic departments offer academic credit for internship participation. Contact your academic department to see if this is an option and to learn more. If you are not eligible to receive academic credit for your internship, the Certificate Internship Program offers you the ability to have your internship officially recognized by the College of Charleston’s Career Center. Here are recommended guidelines when researching internships opportunities. What are the day-to-day duties and responsibilities as well as ongoing projects I would be responsible for? What types of skills, knowledge, and other qualifications are required to be successful in the internship? What knowledge and skills will I learn as a result of participating in the internship? Your internship supervisor should be an experienced professional(s) in your interested career field who is willing to train you, answer questions, and provide you with regular feedback. Research the company website and LinkedIn to gain knowledge of the supervisor’s educational and professional background. Make note of the work schedule (i.e. hours per day, number of weeks) and the dress code. Students participate in internships over the summer and during the fall and spring semesters. 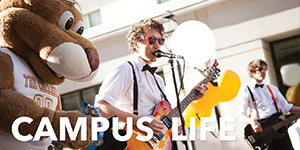 During the summer, students work either part-time or full-time hours. In the academic year, most students work 10-15 hours per week. Ask about the resources you will be provided to complete work (i.e. computer, office space, company email). If you are seeking the internship for credit, consult with your academic department to make sure it is approved. The Career Center does encourage employers to compensate interns when possible. For-profit employers must abide by The Fair Labor Standards Act when determining internship compensation. Currently, non-profit and public organizations are not required to compensate interns. Some offer small stipends or gas reimbursement. Students pursuing unpaid internships should understand the work duties, responsibilities and projects they will be working on and be supervised by a professional in their fields of interest. Students should also understand what types of knowledge and industry-specific and transferable skills they will gain as a result of participating in this experience. If you are pursuing an internship for academic credit, please check with your department about their internship compensation policies. Whether you are searching for an internship in Charleston or in another city, networking is crucial for success. 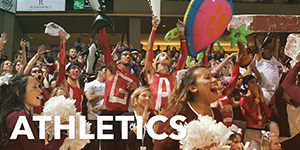 Utilize the comprehensive resources the College provides. Discuss your interests with the Career Center staff, professors, department internship coordinators, family, and friends as they may have contacts that can help. The Career Center hosts Career Fairs each fall and spring semester. Attending these events allows you to talk directly with potential employers. Check the Career Center's homepage for updated information on upcoming Career Fairs. Check the Career Center’s homepage and weekly Monday newsletter for current opportunities. This newsletter is emailed to students. The purpose of an informational interview is not to ask for an internship or job, but it can be helpful in expanding your industry network and make it more likely to learn of possible opportunities. Schedule an appointment with the Career Center to learn more. Over Spring Break, the Career Center partners with various organizations and companies to offer a job shadow program. This is an excellent opportunity to explore a potential career and also network for potential internships. Check the Career Center’s homepage and weekly Monday newsletter for more information. This newsletter is emailed to students. Internships are opportunities to learn about a specific field or career, develop skills, and apply knowledge which will support your transition from education to a future career. Interning abroad gives you the added benefit of an international experience along with the knowledge and skills you will learn on the job. Whether you decide you to pursue an international internship on your own or intern through one of CofC’s affiliate programs, the Career Center and Center for International Education are committed to sharing comprehensive resources with you. Here are recommended guidelines when researching internships abroad on your own. The guidelines have been adapted from The Forum of Education Abroad’s Guidelines for Internships Abroad. Tip: Research the company website and LinkedIn to gain knowledge of the supervisor’s educational and professional background. What types of training does your company offer for new interns? I’m really looking forward to learning from a successful professional such as yourself. When and how often would we meet to discuss goals and feedback on my performance? Research the workplace to make sure it is reasonably safe, with protections against discrimination, harassment, and exploitation. Tip: Ask your supervisor for a copy of the company’s employee handbook (i.e. personnel policies and regulations) and review the information to see if the organization has these policies in place. Understand if there are eligibility requirements which may include but are not limited to physical abilities, drug testing, confidentiality, privacy, and non-compete policies and agreements. Make note of the work schedule (i.e. hours per day, number of weeks) and the dress code. Consider the level of native language proficiency you will need to be successful in the internship and your living environment. Many companies abroad may expect that you can communicate in their native languages. Understand what types of visas or work permits are necessary for you to intern abroad. There can be additional costs and time sensitive applications associated with obtaining the appropriate work authorization. Tip: GoinGlobal is a fantastic resource that contains Career Guides for global countries and cities. Among other resources, GoinGlobal has information on work permits and visas, financial considerations, and cultural advice. To access GoinGlobal, log into your Handshake account and view the “Suggested by Your School” links. Consider the necessary additional costs (i.e. flights, housing, commuting, program costs, health insurance, etc.). You will be responsible for navigating new work and cultural settings. Talk to your supervisor about any concerns or questions you may have. Contact the Center for International Education (CIE) to learn which academic departments are offering internships abroad. Affiliate programs are approved study abroad organizations many of which offer internship opportunities. These third-party providers will work with you in securing a placement abroad and will provide students with pre-departure advising, housing and onsite support services. Currently, AIFS, API, ASA, Arcadia, Butler, CEA, CIEE, IES, ISA, ISEP, SAI, SIT, and TEAN offer internships abroad. 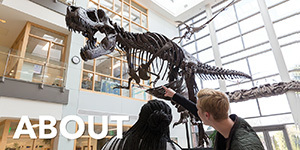 GoinGlobal - To access GoinGlobal, log into your Handshake account and view the “Suggested by Your School” links. It is important to keep your resume updated, but you should always tailor your resume and cover letter to the internship you are applying for. The Career Center has created excellent guides to develop these materials. Schedule an appointment to have your application materials reviewed by the Career Center. Apply to the internships and be sure to follow up with the organizations. Once you secure an interview, schedule an appointment with the Career Center to participate in a mock interview. After your interview, send a thoughtful thank you note to the employer. Cooperative Education (Co-op) is a structured method program that offers students the opportunity to alternate periods of academic study with periods of work closely related to their major field of study. Co-ops are typically paid and last anywhere from three to twelve months. Co-ops differ from internships in that they provide more in-depth and extensive work experience. 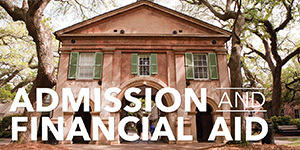 What does Cooperative Education look like at College of Charleston? Single co-ops involve students taking one semester off to work full time. In Parallel co-ops, students participate in co-op part time while also being enrolled in classes. Alternating co-ops involve students alternating semesters in working full-time and taking classes full-time. Once a student secures a co-op, he or she must meet with the Experiential Learning Coordinator or Employer Relations Manager to complete the necessary registration paperwork. Please review the following documentation and bring it to your meeting. Where have College of Charleston students participated in cooperative education? Recent co-op sites include BMW, Disney, Michelin, and Space and Naval Warfare Systems Command (SPAWAR). 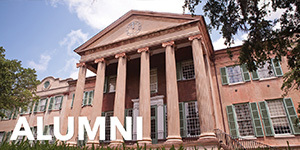 Please contact Kristin Wichmann, Experiential Learning Coordinator at wichmannkm@cofc.edu or 843-953-5692. Check out some of the amazing internships our College of Charleston students are participating in!